Contrary to pre-publicity and the information in the current issue of Slingshot, the Society of Ancients will not be represented at Vapnartak, York Racecourse this weekend. Having had a very poor position at last year's show (despite a 350 mile trek in arctic conditions ...), I started planning early for 2013 and Vapnartak's game organiser indicated up front an intention to station the Society adjacent to the Lance & Longbow Society as part of a 'Societies zone' in the high visibility downstairs concourse. On that basis I accepted this year's invitation and made all the appropriate plans. After Christmas I was told that this was not the final plan at all, and as a trader had subsequently asked for a game space adjacent to his stand, the layout had been redrawn and the Society was pushed back upstairs again to where we were in 2011. Not as bad as 2012, of course, but not what we had been given to understand, and a position we have not found suits our sort of displays. In the circumstances, it is clearly not appropriate to take up Vapnartak's revised offer. They have not lived up to the space they clearly led us to expect. They are not offering the Society equal prominence to the Lance & Longbow Society - and they are not even moved to 'do us a favour' on the basis of compensating for what they acknowledge was the short straw in 2012. As my review of the year shows, we did 33 shows and events last year - 26 of them expressly to represent the Society of Ancients. At least twice a month, right through the year. That has become a very expensive operation, and is a big commitment for a team which is entirely comprised of volunteers (whose only reward is doing a good job for the Society). Fuel prices really mean we must look at reducing the number that mileage. And so I think it is not appropriate for us 'to do York Wargames Society a favour' and support their show despite them letting us down over the facilities. 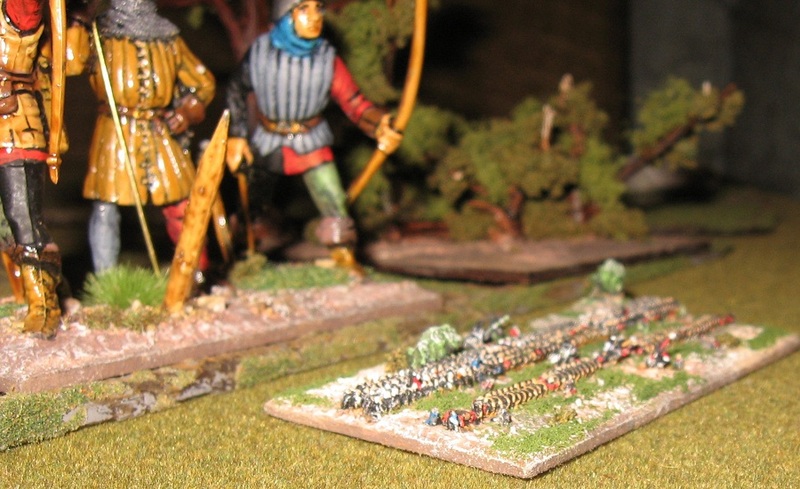 Opinions will doubtless divide over York Wargames Society's underlying motivation (the money). The traders pay for the show and therefore the traders trump clubs and Societies. Well, yes, but Vapnartak clearly have favourites (whose huge 28mm semi-wargames don't get trumped), and I'd also argue that Society and Club games (who have no resources with which to buy their way in) have been the bedrock around which all the successful shows have built themselves over the last 3 or 4 decades, Vapnartak included. It is only a week to Hammerhead, who have been much straighter with us - and welcome historical societies and participation games. Enjoy Vapnartak if you go ... but we will see you at Hammerhead, Kelham Hall, next week. Having done a show or two with you Phil I agree with your frustration over the pitch positioning. The honourable exception is Campaign at MK, but that may be because of the venue anyway. I recall there was a spat in the early days between the Society of Ancients and Neville Dickinson ... so I suspect the tension between the volunteer and trade has always been there. 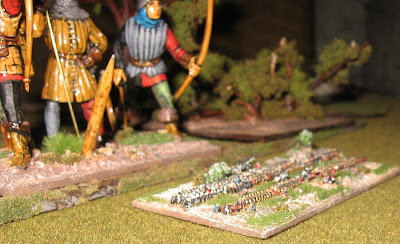 Yes - traditionally, historical wargamers pick and choose ... sourcing rules, figures, terrain independently ... defining for themselves what the wargame is in their own decisions about scales, style of game etc. 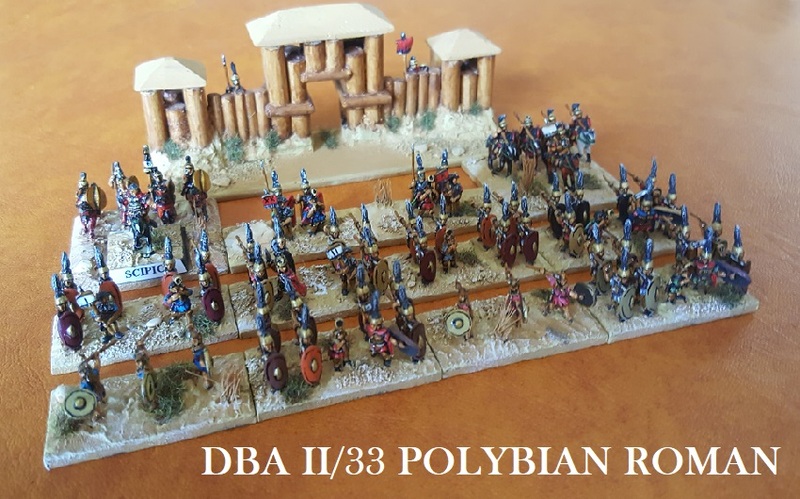 This is not the GW model, which wants much more control over its market and what it considers to be its product (so ther is only once scale, only one type of game - look at all those 'WAB clone' ancients games out there ...). As a historian, I happen to like the intellectual freedom of when we used to be allowed to make our own minds up. That is a bit off the point, however ... these days it seems most people need to making a buck out of our activities to be able to afford the cost of going to shows (and that seems to make them all into little Alan Sugars ...).. Still I see you can now buy a Society membership as part of a starter package from Warlord Games ... so what do I know? I think that a lot of the clubs & Societies date from the 1960s- 1970s & represent an age when people organised themselves mutually. We live in a much more "sell a product" age. WD & the SoA could not start now. They wouldn't have a place.